All Garou are creatures of flesh and spirit. 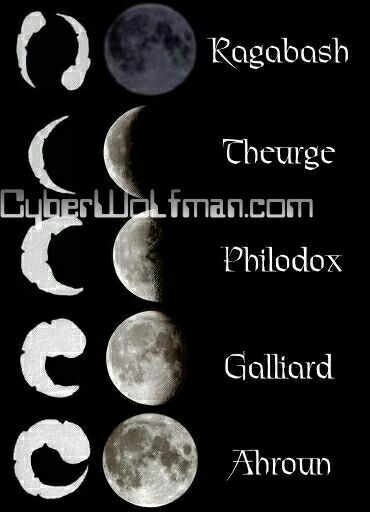 All Garou are Gaia's claws, her warriors and intermediaries. Each of the five auspices has their own role to play, and while they sometimes overlap, while none are proprietary, each is particularly suited to that role. For further reading, it is reccomended to check out The Book of Auspices. Ragabash are the tricksters and fools of the Garou. From deflating werewolves who become too over-pompous and filled with hubris to calling a scandle on those the Philodox miss, to acting as scouts and spies the Ragabash serve an important place in the Garou Nation. Theurges serve as spiritualists, purifiers, the common link between most spirits and other Garou. They perform and lead the majority of the Ries of the Garou nation, study the ways of the unnatural, and commune with all sorts of spirits. Crescent-moons have all kinds of interesting allies from the Umbra, and one never knows what insights these visionaries may bring to the fore. Philodox are the arbiters, leaders and enforcers of the Garou Nation. They are the keepers of tradition, and the born leaders of the Garou Nation (Auspice-wise). They are second to Theurges in skill with rites, and may even surpass them with those of Accord. The words of a Philodox carry great weight and power, but when used carelessly can cause great harm. Galliards are the keepers of the tales of the nation, the talesingers and performers, the teachers of the Nation. Most Galliards go out of their way to seek out stories, lore, hidden knowledge of the Garou. They sing the deeds and pass on the tales of the Garou, and every Galliard worth their salt aspires to one day add to the Silver Record, though few ever achieve such. All Garou are warriors at heart, from the one-armed Metis with a bum leg to the Theurge doctor to the meditative loreseeker who seems calm; so what then does it mean to be Ahroun? Ahroun are warriors without peer, battle-leaders, tactitians, heroes to inspire others to greater deeds and sometimes, when there is need, executioners. Because of their tremendous Rage Ahroun have a great deal of difficulty interacting with humans or their society at all, and combined with the often frequent conflict, many Full Moons burn out early. Those rare few who make it to Elder are amongst the deadliest and most dangerous of all Garou.